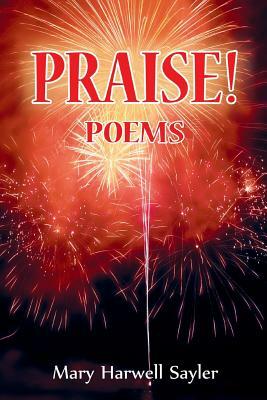 Reading PRAISE Poems may cause an explosion of praise to God in your life. With bad news everywhere--with hurts, fears, and anger--everyone has problems of some kind. Focusing on praise takes our thoughts off our worries and onto the goodness of God. This book of contemporary psalms and prayer-poems offers a remedy for those who feel pressed down by the negativity of the world. While the poems acknowledge, on the one hand, the realities around us, they also look for the good of our God in everything. Sections within the book include: PRAISE, PRAYERS, EASTER, CREATION, WONDER, CHRISTMAS. When prolific author and poet Mary Harwell Sayler found herself weighted by woes and laments, she began to realize her lack of appreciation to God. Then she made a decision to begin looking for the good. Poetic expressions began coming to her almost daily--spontaneous, contemporary poems of thanksgiving, adoration and praise.